Happy New Year, readers. May all your wishes be materialized.. Well, financial is one thing, health and smooth sailing in all what you are doing are equally important.. I hereby wish all successful in all your future undertakings. I always “admired” friends who have a bread machine as apparently it can prepare a lot more things besides bread. But it made no sense for me to buy a “trendy” bread machine just for other purposes…We don’t eat bread very often and when I need to prepare bread, I can always use my standing machine to do the kneading…. 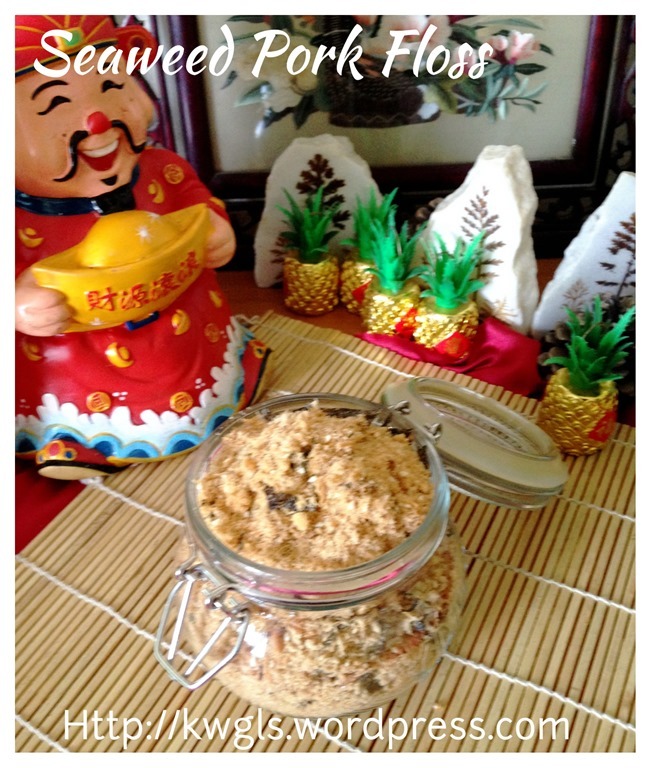 One of the “admirable” functions of bread machine is the ability to stir frying something over a long period of time such as sambal, dodol, peanuts , meat flosses and etc.… While I am “admiring” others, I took a step back and re-thought how homemade pork flosses were being prepared without the use of bread machine? 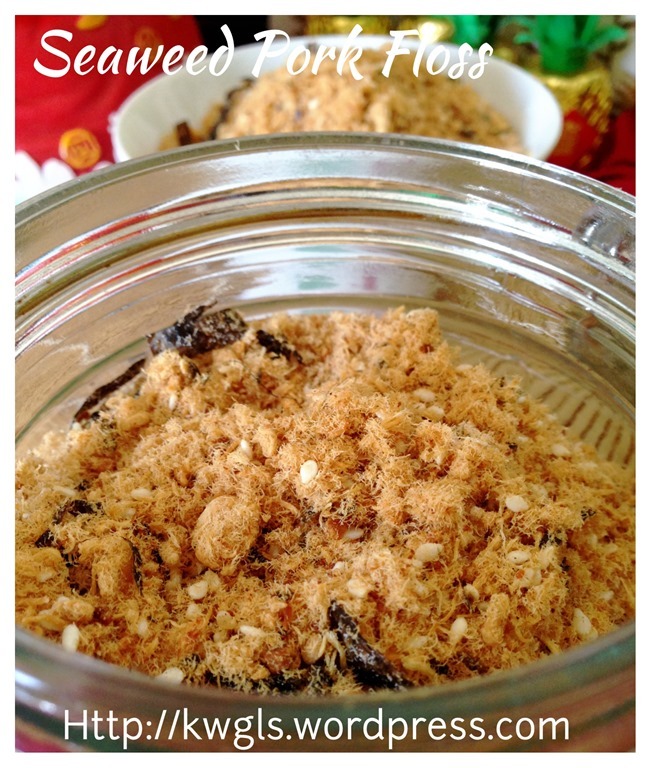 I started goggling and there are some recipes in the internet that provided ways of preparing meat floss besides using bread machine..That is totally logical as I do not believed home made meat flosses is only possible after the creation of bread machine. Meat flosses were prepared from meat with strong fibre usually rather lean meat. These meats can be tough to chew even after cooked. Some families boiled soup and throw away the meat…It is such a waste to throw away “food” and any recycling will definitely be welcoming.. 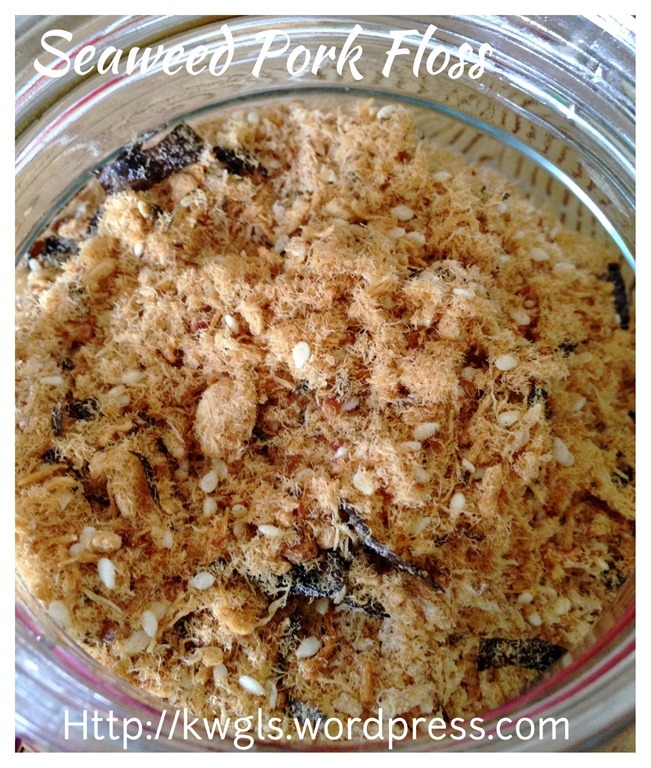 So is meat floss very difficult to prepare without bread machine? No, it is not. As for the taste and flavour, it will be very much depends on what you like and the taste of meat floss that you are used to. 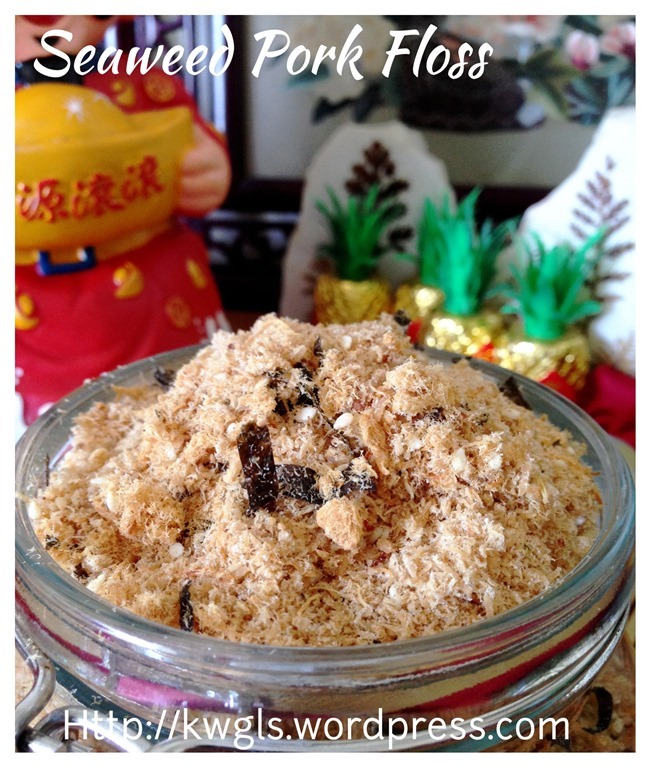 All readers should know every company will have their unique taste of meat floss and the recipe that I am sharing is close to the taste of Bee Cheng Hiang’s seaweed meat floss. The word is “closed to” and not “exactly like” as no one will know the trade secrets of any commercially sold goodies. Cut the meat in big chunks. Put all the ingredients in a pressure cooker and pressure cook under the meat function for cycles. If after one cycle, your meat is soft and can be tear apart by a fork, it is ready. Otherwise, continue to cook until the meat is soft and tender. (For this illustration, I have cooked for about 1.5 cycles). Drain and keep the meat broth. You can use the meat broth and make into a soup base for vegetable soup. Transfer the drained meat to a stand mixer, use your stand mixer’s lowest speed to “beat” the meat and at most in 1-2 minutes, your meat shall become be broken into small pieces. (alternately you can use the fork to tear the meat apart). 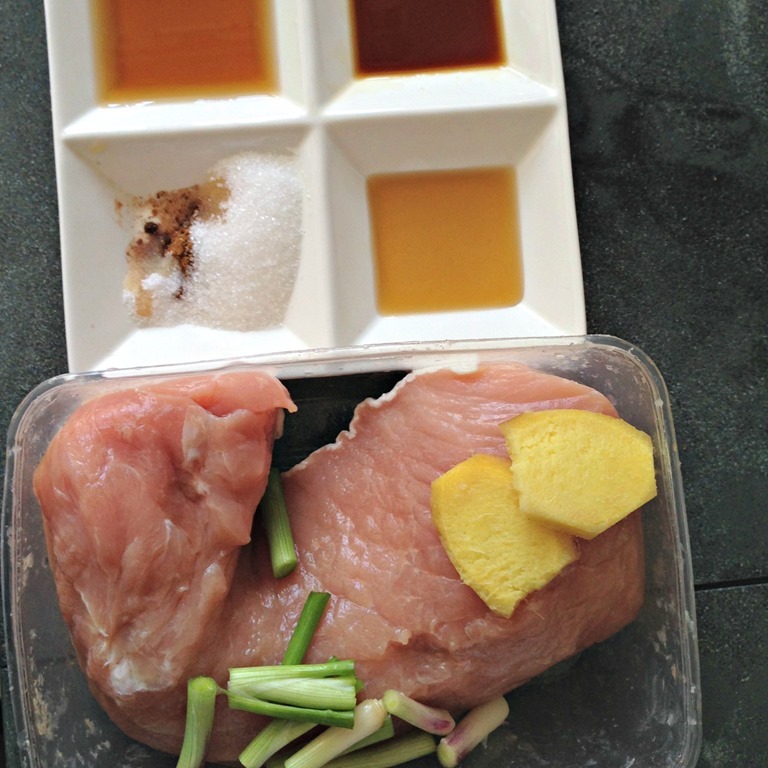 Transfer the broken meats to a non stick pan (alternatively normal frying pan with some oil). Stir fry under medium heat until the meat floss dries up. It took me the most is 15 minutes to get this done. Colour will gradually change and the stir frying will get easier and easier. Take some meat floss out and taste if this suit your taste buds. Otherwise, add seasonings of your choice (fish sauce, additional sugar etc.) 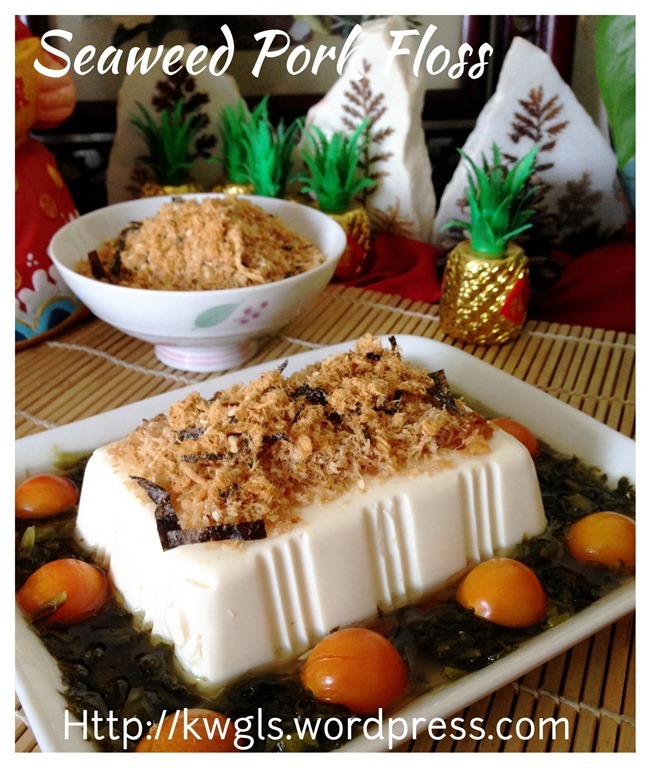 Add the seaweed stripes and sesame seeds. 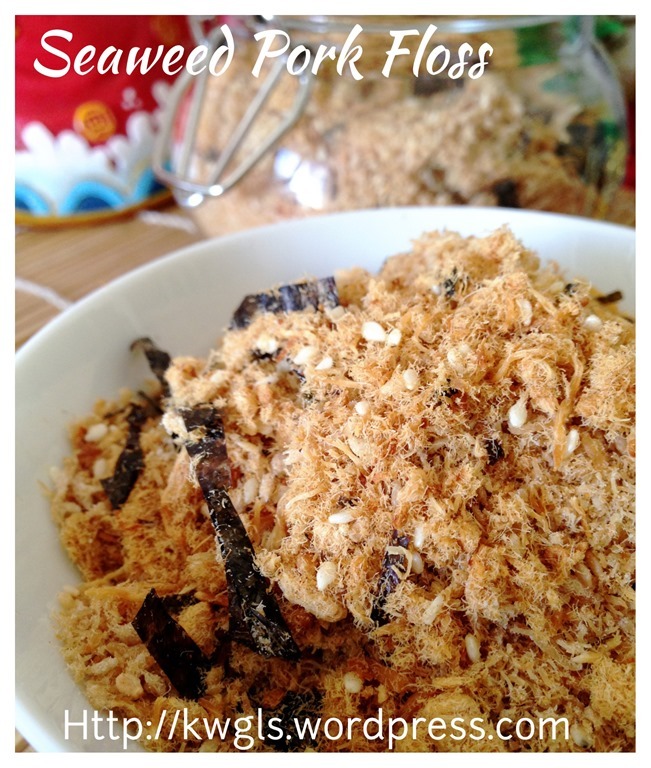 Stir fry until well mixed and the seaweed stripes become crispy. Off heat and let it cool completely before store in an air tight container. If you do not have pressure cooker, by all means cook the meat until fibre can be tear apart by a fork. 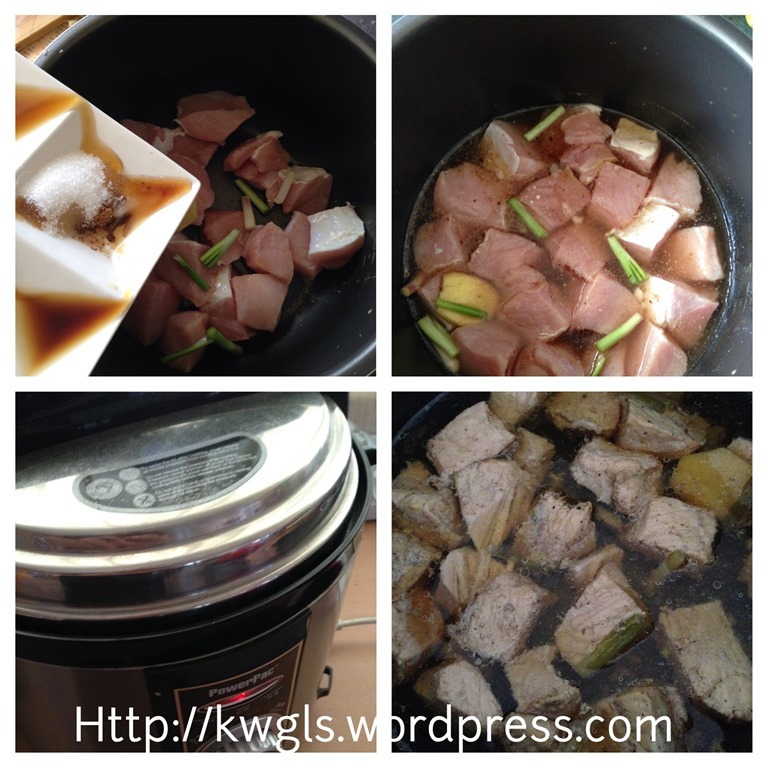 It can be over the stove, rice cooker soup function, slow cooker or other kitchen equipment. Pressure cooker shall be the faster gadget available for cooking such type of meat. While I can’t locate any recipe that uses fish sauce as the seasonings, but both me and my wife have tasted the store bought, compared with homemade version and concluded that fish sauce is the critical seasoning. 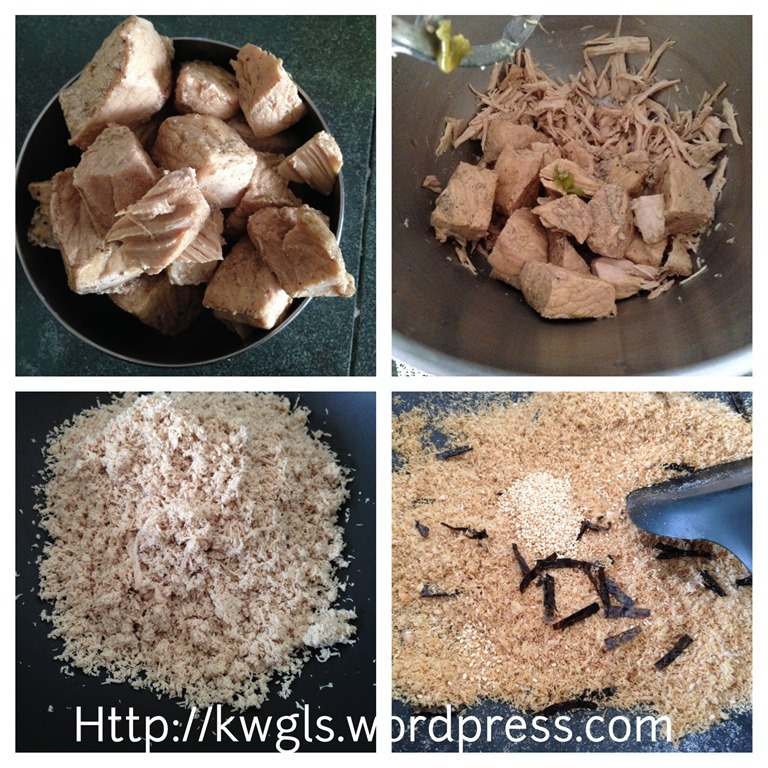 After adding the fish sauce, the taste is very close to the store bought. There is no need to start the recipe from fresh meat, you can always collect the meat from the pork bones while boiling soup until a sizeable amount before proceeding. 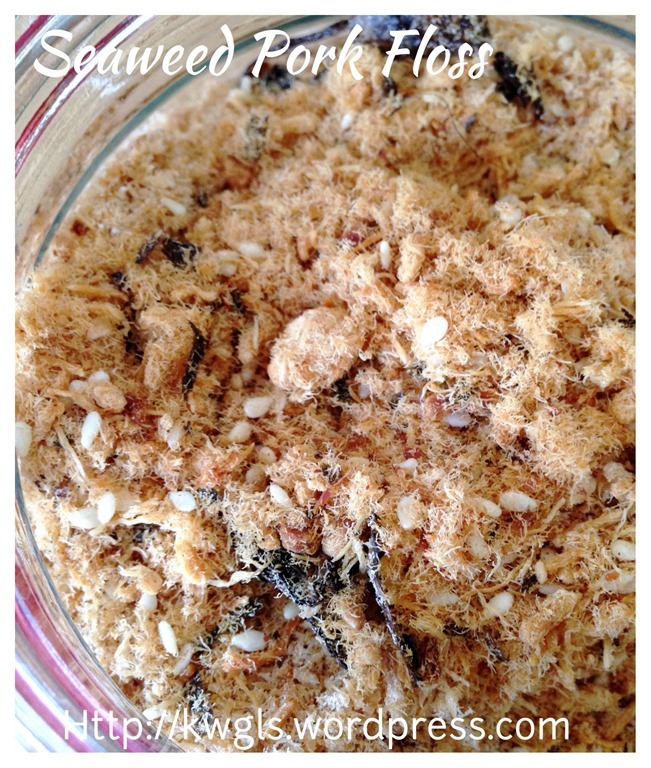 Do play around with the seasonings, who say meat floss cannot be curry flavoured or black pepper flavoured. You can also play around with other meats such as chicken, duck, beef or even fish. Of course the timing of cooking will be relatively shorter. 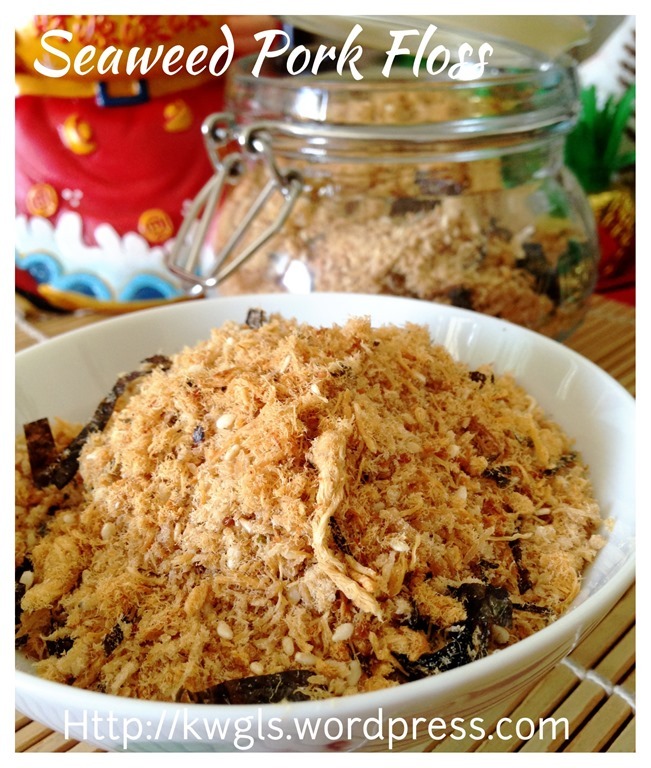 Once the colour changed to light brown, you shall off the heat, continue stir frying will make the meat floss too dry and easy to break become flour. In addition, do not let the stand mixer to beat the meat for too long. 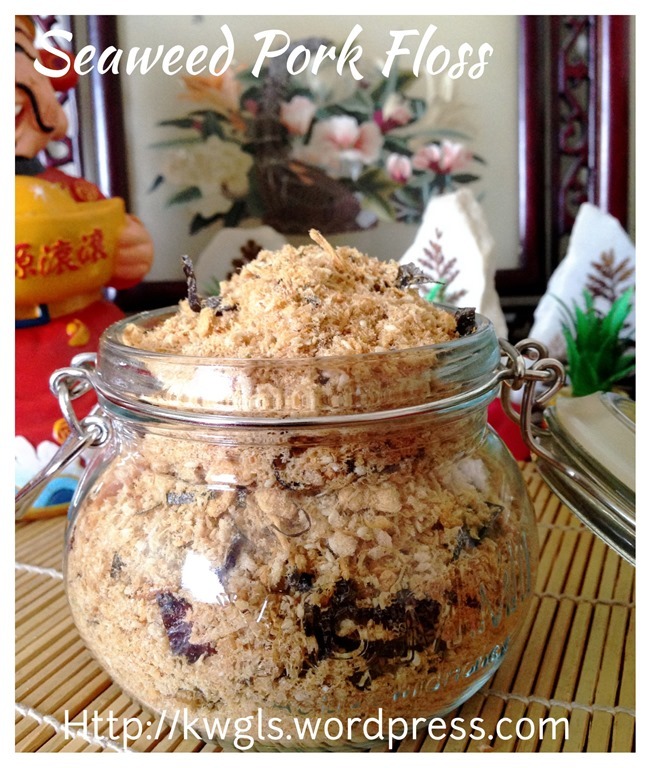 Once the uncooked meat is too fine, it will become flour like after stir frying. This is not a difficult recipe. With non stick pan, it is rather fast and quite effort less. 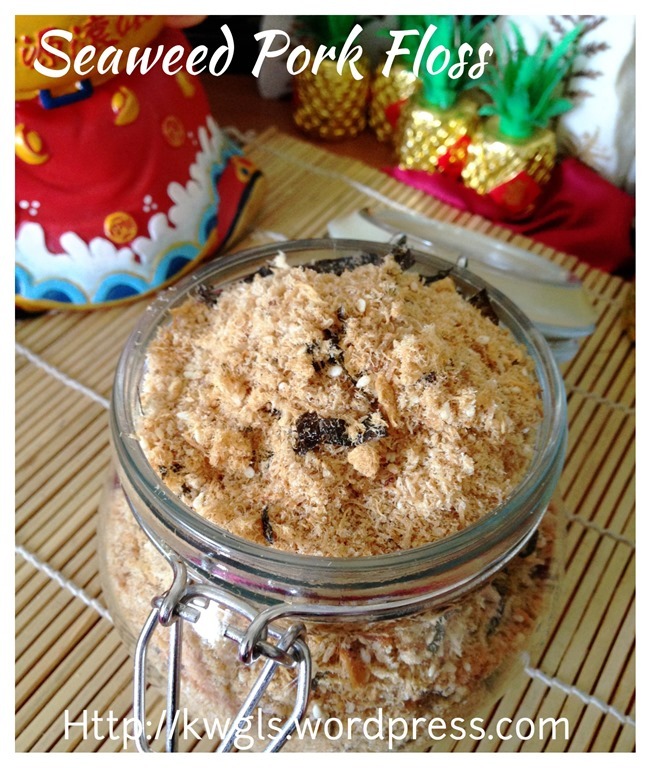 Without bread machine, you can also enjoy homemade meat floss.. 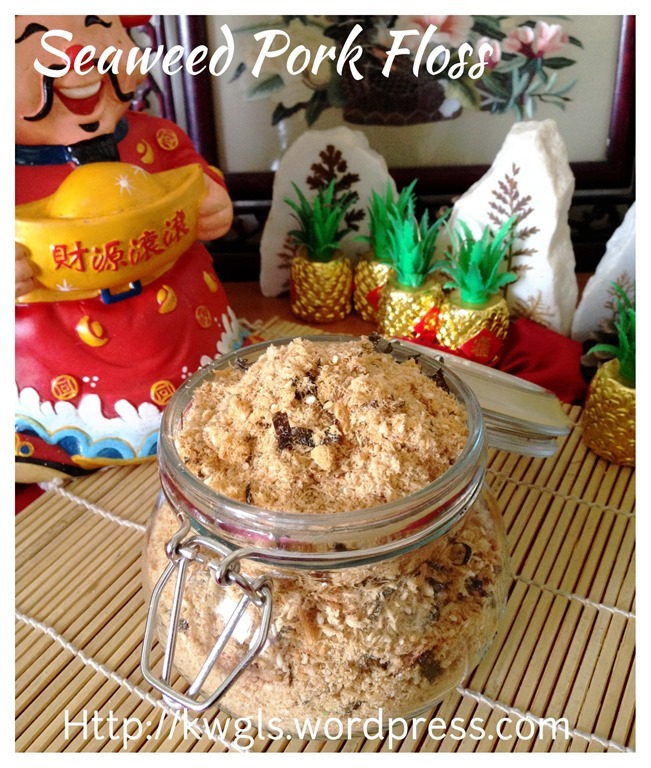 Remember that you can have any flavoured meat floss as you like and create one that become your family’s secret recipe. 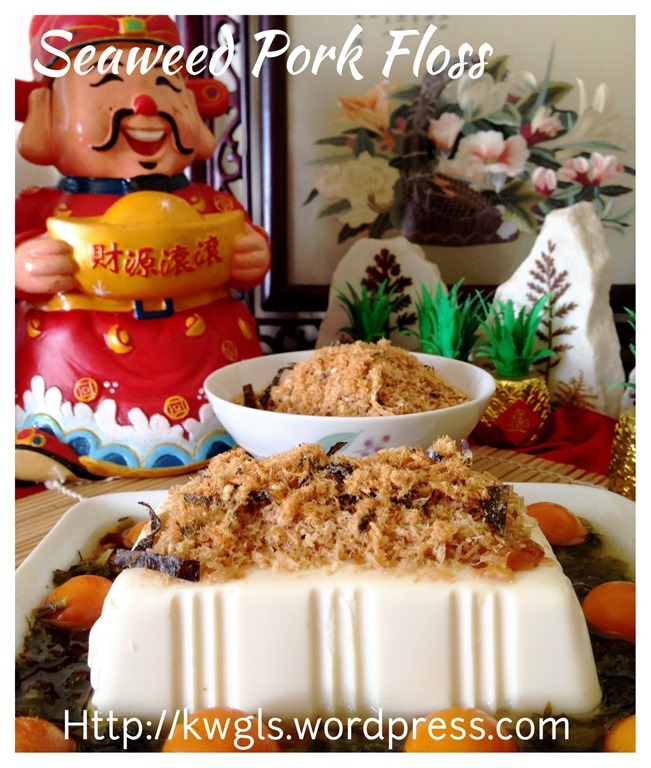 This entry was posted in Food Preparation Series, Meat Dishes, Sauces and Pickles and tagged 8, chicken floss, GUAI SHU SHU, Guaishushu, Homemade Seaweed Meat Floss, kenneth goh, meat floss without bread machine, pork floss, postaday, 海苔肉松. Bookmark the permalink. You mention about using a bread maker which i have one. How am I go about using it do make the meat floss. Just google bread maker meat floss should give you lots of recipe . Thank you for writing this post. I, too, have been envying my friends and people with bread machines which have jam function. I have bread machine, but it doesn’t have jam function. It doesn’t make sense for me to get rid of my bread machine, and buy another new one just for the purpose. 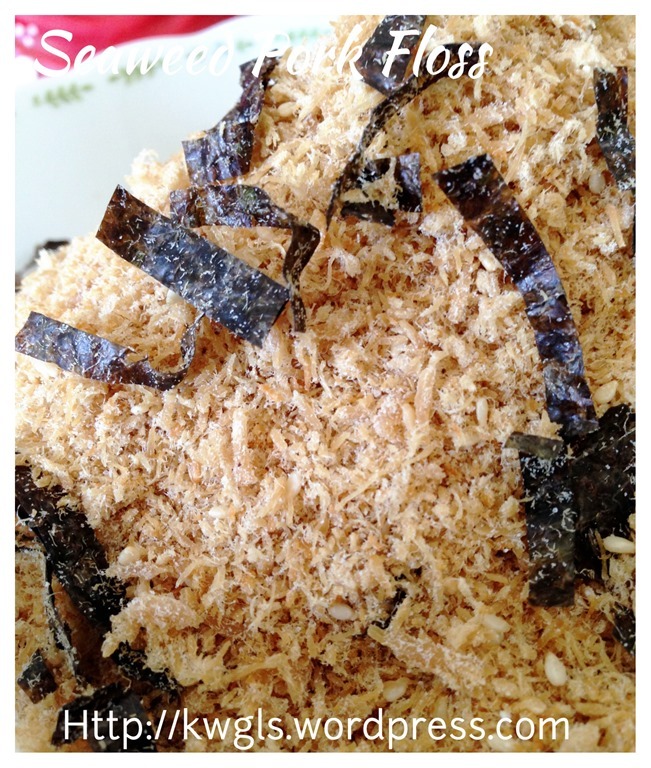 I was skeptical, since I would assume that without machine, it would be very labor intensive to make meat floss. Yours look so nice just like professional made. After reading your post, I am eager to make, since store bought has all kinds of chemicals and preservatives. Just one question for you, within the 15 minutes of “stir frying” the “threaded pork” under medium heat, do I need to keep turning and stirring nonstop? Really appreciate your sharing!